Browse > Home / Big data, Feature / Big Data: Is Grilling Better with Math? Big Data: Is Grilling Better with Math? Is there a connection between Big Data and grilling? Is there a connection between Big Data and your business? I read “Big Data Beyond Business Intelligence: Rise Of The MBAs.” The write up is chock full of statements about large data sets and the numerical recipes required to tame them. But none of the article’s surprising comments matches one point I noticed. I will be the first to admit that the economic revolution has left some businesses reeling, particularly in rural Kentucky. Other parts of the country are, according to some pundits, bursting with health. Is a business reorganization better with Big Data? Will Big Data deliver better grilled meat? 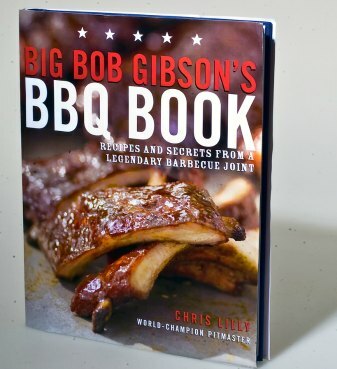 Buy a copy of this book by Lilly and Gibson and see if there are ways to reorganize the business of grilling around self reflection. Big Data cannot deliver a sure fire winning steak? Will Big Data deliver for other businesses? But for the business that is working hard to make sales, meet payroll, and serve its customers, Big Data as a concept is one facet of senior managers’ work. Information is important to a business. The idea that more information will contribute to better decisions is one of the buttons that marketers enjoy mashing. Software is useful, but it is by itself not a panacea. Software can sink a business as well as float it. However, figuring out the nuances buried within Big Data, a term that is invoked, not defined, is difficult. The rise of the data scientist is a reminder that having volumes of data to review requires skills many do not possess. Data integrity is one issue. Another is the selection of mathematical tools to use. Then there is the challenge of configuring the procedures to deliver outputs that make sense. Are there business owners who want to toss out traditional methods of organizing work around Big Data? There are examples of companies able to exploit successfully information from systems that report on clicks, tweets, and similar sources. The notion of “self reflection” adds another twist to the challenge Big Data presents to organizations. When I think about information retrieval, Big Data is easy to talk about. Tossing in a handful of buzzwords works like the secret sauce used by cooks on Barbeque Pitmasters television show. The base ingredient is ketchup or some equally mundane commodity. The difference between the winning chef and the losers is how a human deals with cooking a slab of beef. Big Data, at the present time, requires the equivalent of skilled grill masters. The “self reflection,” the democratization of data, and the notion of reorganization of a business around Big Data are parts of the cheerleaders’ spiel. Effective use of data may require more than self reflection, a smattering of math, and a lot of go go confidence. Like search and retrieval systems, Big Data systems seem like such a darned good idea. Neither is a new kid on the block. Unsupported assertions about enterprise search contributed to the downfall of a number of vendors. Are enthusiasts of Big Data following a similar path even if it adds a stopover to perform self reflection? Selling glittering generalities like Big Data or search for that matter is risky. When the systems do not deliver a pay off, some serious issues arise. Self reflection can make it easy not to notice erroneous assumptions like the need for specific expertise to make sense of certain types of data, big or little. When I want a good steak, I don’t rely on software alone. When I need an informed decision, I don’t rely on software alone. Do you?